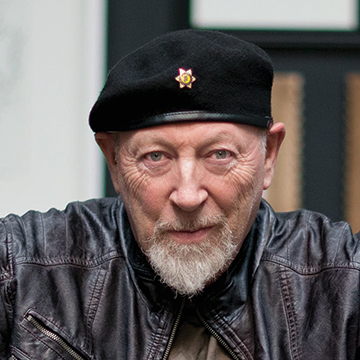 Ivor Novello Award-winning and GRAMMY® Award-nominated legend Richard Thompson has announced a solo show for Vicar Street, Saturday 10th August 2019. Richard gave himself up to the music itself. Picking up a guitar, emotions echoed through his deft fleet-fingered fretwork, poetic song writing, impassioned picking. Those transmissions comprise his nineteenth solo album, 13 Rivers. To capture this vision, he retreated to the famed Boulevard Recording Studio in Los Angeles. Known previously as “The Producers Workshop” and once owned by Liberace and his manager, the locale served as the site for seminal classics by Steely Dan, Fleetwood Mac, Ringo Starr, and Joan Baez. It also hosted the mixing sessions for Pink Floyd’s The Wall. Notably, this marked the first time Thompson self-produced in over a decade and he opted to track analog in just ten days. Engineered by Clay Blair (The War on Drugs), usual suspects Michael Jerome [drums, percussion], Taras Prodaniuk [bass], and Bobby Eichorn [guitar] joined him.